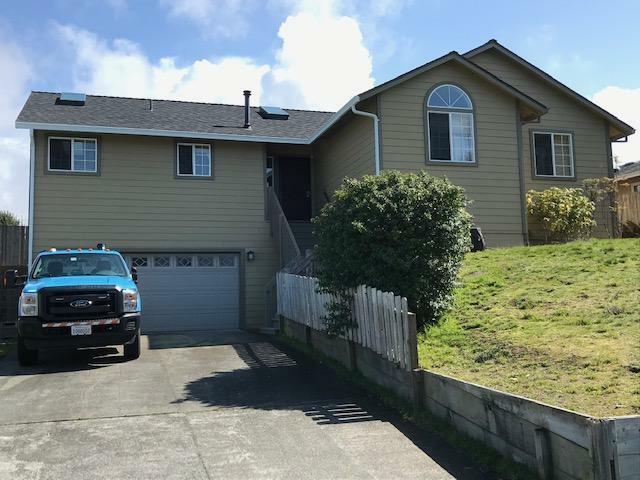 Well maintained 3 Bed/ 2 Bath home with an open floor plan, located on a quiet cul-de-sac at the top of Humboldt Hill. Spacious master suite with double closets and a soaking tub and shower in the bath. Tile floors in kitchen and baths. Wood floor in living room. Stareon kitchen counters, Hardi-board siding, Newer roof, and new water heater. Finished garage. Pest certification just completed.